After two very early starts it was a pleasure to rise at a more respectable hour. A beautiful sunrise had given way to wonderfully clear blue skies and I took the opportunity for a wander around the museum grounds without any other visitors around, before boarding our bus to Gniezno at 9am to begin the journey home. The bus took the best part of an hour to get us back to the city, leaving us with just six minutes to clamber out and make our way to the platform for the 10am intercity service. Most of the group were taking the train to its final destination, Berlin, but a few of us got off at the first stop, Poznań. 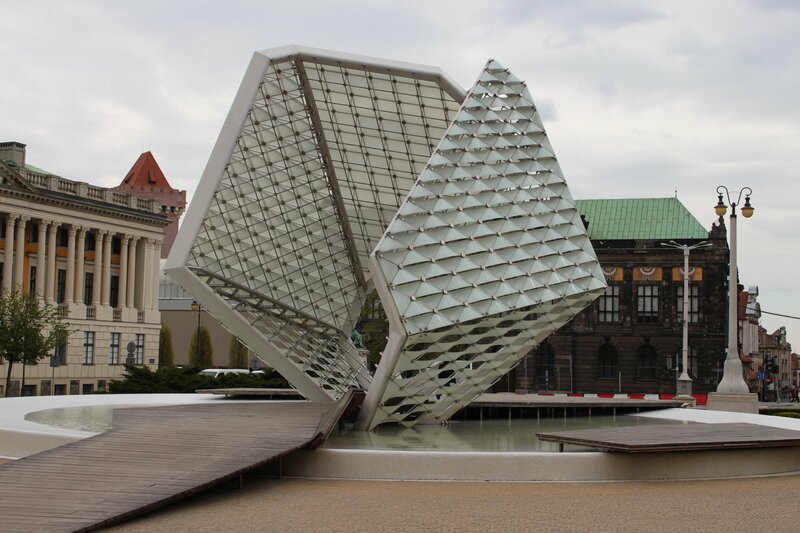 I was pleased to have an opportunity to spend a little time in Poznań, one of my favourite places in Europe. I was surprised by just how well I remembered my way around the city, even if this was an acute awareness of how much has changed after ten years away. Although there was plenty of change around the city there were still sights that were reassuringly familiar, even on the fringes of the centre where the degree of change is much higher, such as the trade fair buildings. The Imperial Castle looked much smarter than the last time I had seen it and I ducked inside the modern wing to see just how far it had been transformed (sadly I didn’t have time to visit the re-opened historic wing). A greater surprise was the sight of the Royal Castle, which had been largely destroyed during the battle for Poznań Citadel in 1945. In 2010 work to reconstruct the entire castle began and the exterior is now complete. It makes a striking addition to the city. The tower and terraces are due to open to the public in June 2016 so that is something else that I will have to visit on a future trip! I still have very fond memories of my time in Poznań and nights spent till the early hours in my favourite backstreet pub/club. I didn’t dare take a peek down the alley off Święty Marcin to see if it was still there – it would have been heartbreaking to see it gone. Better to keep the happy memories of nights chatting, dancing and drinking as they are! After a couple of hours wandering around and sampling some of the finest Polish baked goods I took the short twenty minute journey from the city to the airport, allowing plenty of time to relax before my return flight to London. Overall, it has been a great trip and my day in Poznań offered up a handy reminder of the reasons to come back some day soon. Arrived in Poznań after a smooth but otherwise unremarkable flight from Stansted, with the only exception being the unusual sight of Air Force One sitting at the airport for Obama’s short visit to London. It has been some ten years since I last stepped foot in Poland and even longer since I was last in Poznań, so it is a pleasure to be making a return today even if I am only passing through briefly on my way to Gniezno. Hopefully I will get a little longer to reacquaint myself with the city on my way back. I was struck by changes big and small from the outset. The airport has doubled in size (at least) since I was last here and there was no need to test my dodgy Polish in the newsagents trying to buy a ticket for the bus (there’s now a single ticket machine by the bus stop complete with options in English). Even though I anticipated the degree of change it was still a shock to see this from the moment I stepped off the bus at Rondo Kaponiera. I found myself on the fringes of the first of many construction sites in the city, with work taking place on the roads and in an adjacent plot of land. It looked like a historic red brick building was in the process of being rehabilitated as a swish complex for the 21st century whilst new builds were going up all along the short stretch of road to Poznań Główny. It was strange to see the vast concrete, steel and glass hulk of Poznań Główny sitting where open tracks had been the last time I was here, dwarfing the old station building. The new station building was opened in 2012 and forms the centrepiece of an impressive shopping and transport hub. It’s a far cry from the old booking hall with its handful of kiosks and small store! Sadly, the daily steam hauled services are no long a feature either, having ceased in 2013 (although, it is worth looking out for details of the specials which run occasionally). At Poznań Główny I picked up the 16.35 intercity service to Gniezno, a journey of just 26 minutes. The view from the railway was a familiar tale of motorways under construction and warehouses that stand testament to the investment being pumped into the country. I guess the length of my time away from Poznań has accentuated the differences for me, but by any measure the degree of change has been nothing short of astronomic. 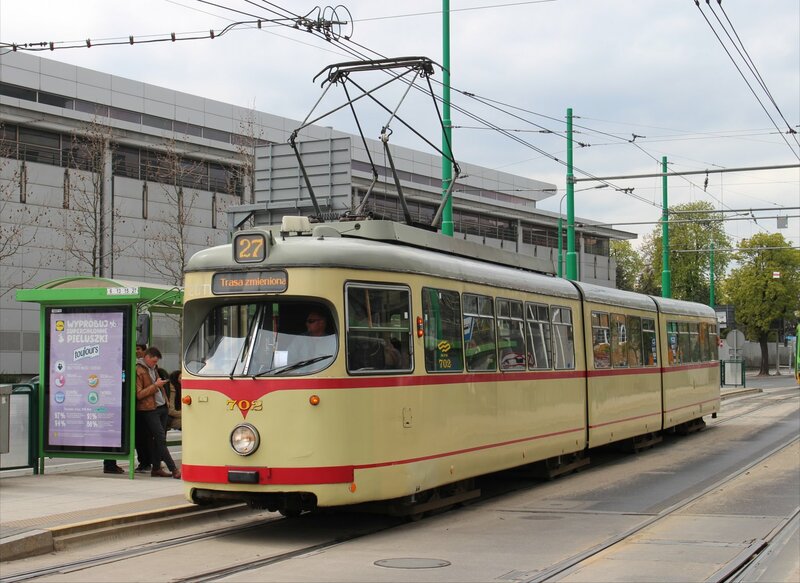 The past week has seen the end of one of the twenty first century’s miracles – the last steam hauled daily commuter services from a European city. Poznań, the fourth largest city in Poland, had seen two return trips per day hauled by steam locomotives during the working week and what made these services remarkable was that they were regular scheduled services on the main line, rather than steam specials or heritage steam services on a preserved line. Unfortunately, neither Polish State Railways or the local authorities appeared to understand that the appeal of this line came from its unique position in offering easily accessible ‘real’ steam to visitors. 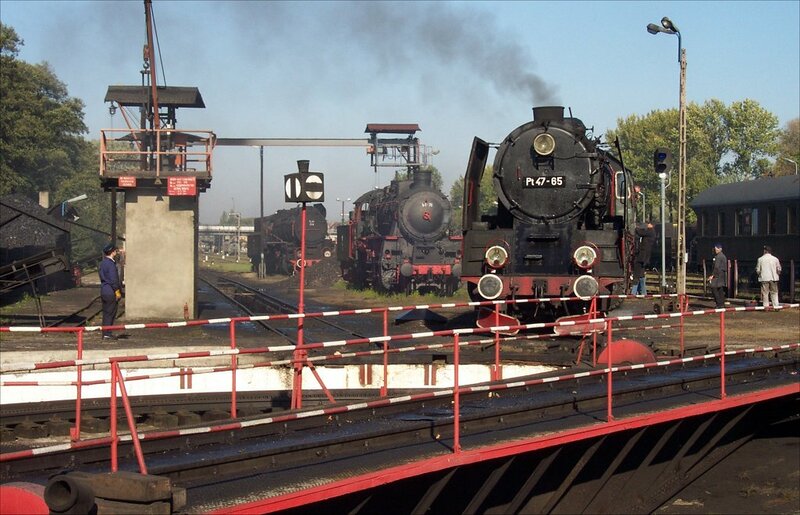 It was around ten years ago that I accidentally stumbled on the remarkable sight and sound of daily scheduled steam services whilst on a trip to Poland. One encounter was enough to fire up a long forgotten interest in steam railways and this resulted in another two holidays to Poznań to visit the railway – trips that I would not have made but for the railway and its unique qualities. Along the way I fell for the unexpected charms of Poland and the incredible hospitality of its people. I am not old enough to remember the days of steam hauled commuter services in the UK and at the time of my visit my only experiences of steam had been of the heritage variety, so the spectacle of ‘real steam’ offered by Polish State Railways on this line was a real eye opener. It was quite something else to be able to wander down to the platforms at Poznań Główny and watch the early morning steam hauled service arrive from Wolsztyn, followed by the sight of hundreds of commuters emptying from its double-deck carriages. It is not all doom and gloom. 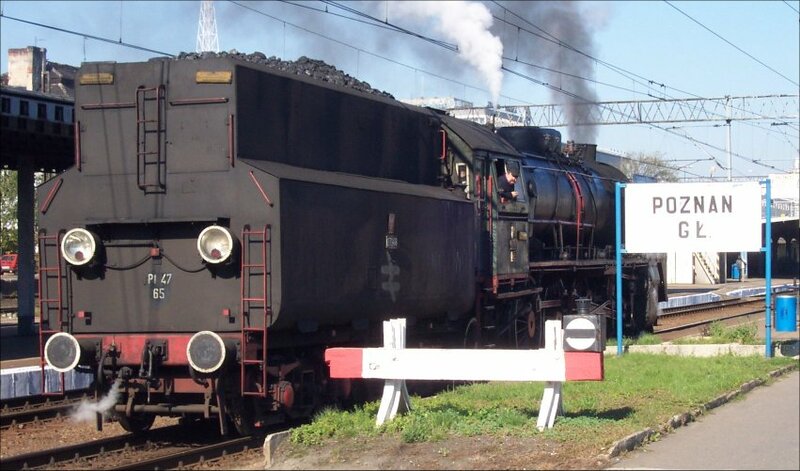 Steam services will continue on the line from Wolsztyn to Leszno, with two return trips a day, running seven days a week. I am sure that it will still attract dedicated enthusiasts, but how many tourists will come across the operation is harder to say. I will keep my fingers crossed that the change will put the operation on a more sustainable footing, rather than being a stepping stone to a further reduction of the service. To find out more about the operation at Wolsztyn, check out the official website at Parowozownia Wolsztyn, the daily updates from Parowozy z Wolsztyna and the website of the Wolsztyn Experience which offers footplating courses out of Wolsztyn.